I just have a question for everyone here, who loves Mario? Haters are going to hate, but honestly, there’s a reason why Mario is the king of the platforming genre. From his arcade debut in 1982 thanks to Donkey Kong where he was known simply as “Jumpman”, all the way to present day, Mario has done it all. 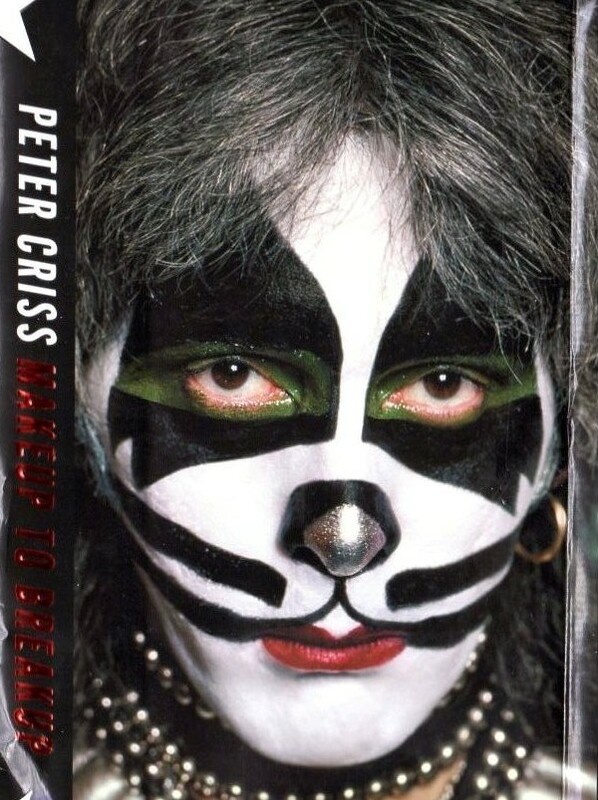 From sports to RPGs, he’s starred in just about every genre one can think of. He is more than just a character; he’s a video game icon and a legend. The mustachioed plumber has proven how timeless he is with his latest platforming incarnation, Super Mario 3D World: a game that not only pays homage to classic 2D Mario, but even manages to successfully fuse it with more modern 3D Mario. 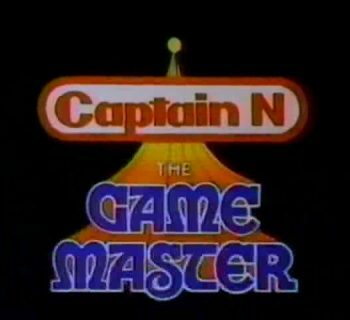 An early level of the game with 2 players. The story is hokey; basically, you end up going to a neighbor of the Mushroom Kingdom known as the Sprixie Kingdom after witnessing a Sprixie (a fairy, in basic terms) get kidnapped by arch-nemesis Bowser. It’s up to you to make it to Bowser and set things right. Standard Mario fare, but seriously, who plays Mario games for their story? Nah, with some exception, the story almost always plays second fiddle to the classic gameplay we all know and love. Now those of you who played a classic Mario game know how it works, right? You work your way from the start of a level to the end of it before the time runs out, dodging obstacles and collecting power ups that can boost your chances of survival. While there are many Mario games that offer a different take on the formula, this one’s basic formula remains the same as the classic games. What then, would make this game unique from a gameplay perspective? Let me explain. Similar to Super Mario 3D Land on the 3DS in some ways, this game takes the formula featured in that game and effortlessly amps it up. The total player count is upped from 3D Land’s two to four, making this the first game since Super Mario Bros. 2 for the NES where Princess Peach is playable. Did I mention that four players can actually play the game simultaneously, making this the first 3D Mario game with simultaneous four player mode? This is something fans have actually been clamoring for since Super Mario 64, and Nintendo has finally integrated it into the Mario formula. The levels present are amazing to look at, and they’re creative, actually making you use your noggin in order to discover all the secrets they have to offer. They also all have names too. The environments vary from rolling green plains to lava-filled fortresses and everything in between; you won’t be disappointed by the varieties of visuals that show up. Even the levels themselves offer some pleasant surprises along the way including Easter Eggs that you need to explore to find. In other words, this game is drop-dead gorgeous. 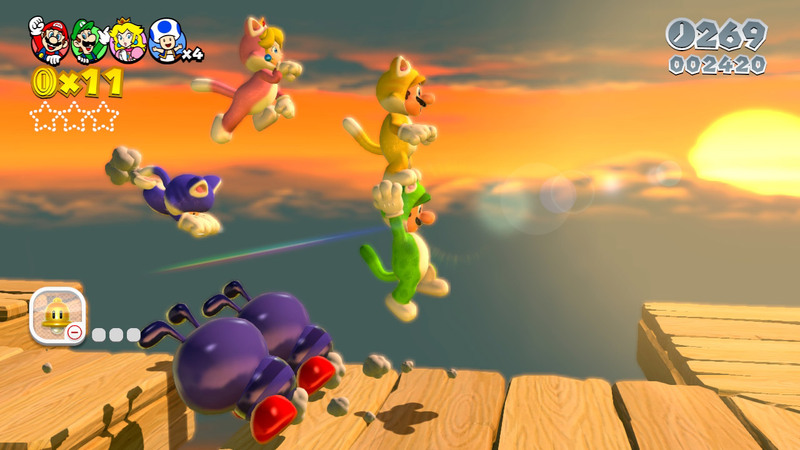 I would call it one of the best looking games on the Wii U.
Screenshot showing off the 4-player mode and cat suits. Unique to the game are transparent pipes and new, as well as revamped, power-ups. These transparent pipes might not seem like a big deal, but they’re definitely a game changer from the classic Mario formula. Believe it or not, these transparent pipes do all sorts of things in the game itself, with many being packed with obstacles and secrets to boot. They allow you to change direction to avoid said obstacles and reach secrets, or launch fireballs to kill enemies. While this might sound small on paper, the way it’s integrated into just about all the levels actually makes total sense, and showcases that bit of creative magic Nintendo’s EAD Tokyo branch manages to cook up when it's needed most. The team that works there seriously knows their stuff when it comes to making a good game. The power-ups won me over instantly: we have the classics like Fireball Mario, Tanooki Mario, Giant Mario Mushrooms that allow you to stomp anything that gets in your way, and Invincibility Stars that grant you those few seconds of invincibility. Then, we have the revamped cherry power-ups that allow the character you’re controlling to divide into two, but then if you get another one you divide into four and so on. Very clever and very cool. But for me, the highlight of the game and what completely won me over was Cat Mario. Why is that? Aside from how incredibly useful and versatile the suit is in the game, with its awesome ability that allows you to scale walls and swat at enemies, it’s just plain adorable to look at. Anyone who knows me knows I love cats, so this ability alone sold me on the game instantly. Aside from that though, I have to touch on the huge highlight of the game itself: the music. Those who played Super Mario Galaxy and its sequel Galaxy 2 on the Wii should be prepared for an audiogasm here, because this soundtrack delivers an aural experience in spades! Much like the levels of the game itself, the music is varied. All the instrumentation is done live, and a majority of the tunes that play in each level are new with a few classics sprinkled in for good measure. The soundtrack itself spans multiple genres from jazz to pop and rock, and the compositions are masterful and maintain that playful and whimsical feeling you get while playing a Mario game. For me, the absolute highlight is a piece that has to be heard to be believed, it is a piece of music that first plays when you arrive to level 3-2 which is known as Shifty Boo Mansion in the game. It is a haunting and beautiful classical piece that has to be heard to be believed. When you hear it, you’ll be like “Wow, and this is from a Mario game?” seriously, it is that good! If there is a recommendation for a soundtrack that should be purchased and listened to, I’d have to go with this game in a heartbeat. All in all, Super Mario 3D World is an absolute masterpiece that, while not "reinventing the wheel" when it comes to platformers, is the absolute crème de le crème of them. It takes what is familiar and known from both classic and modern Mario games and polishes the mechanics to a shine that is so bright, it could reflect sunlight back at you. If you have a Wii U, you owe it to yourself to put this wonderful game in your collection at once. 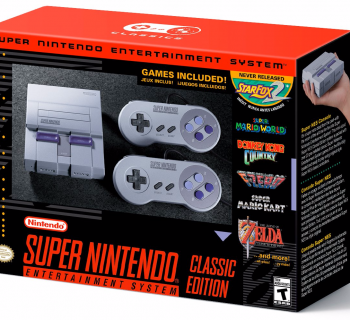 Super Nintendo Classic Edition - 20 Classic Games We Wish Had Made the Cut! Hair I Go Again - The Quest of Two Rockers to Revive Their Old Band!